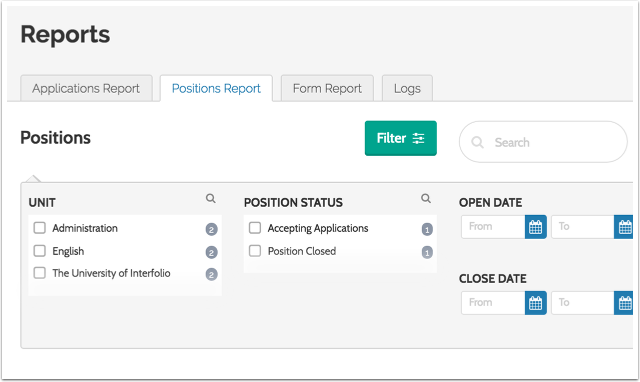 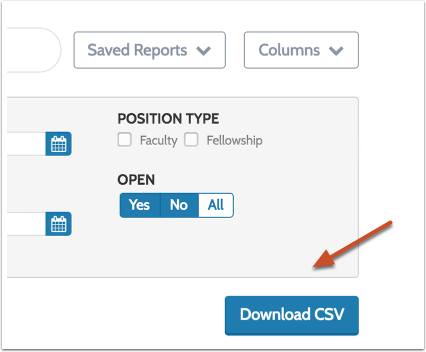 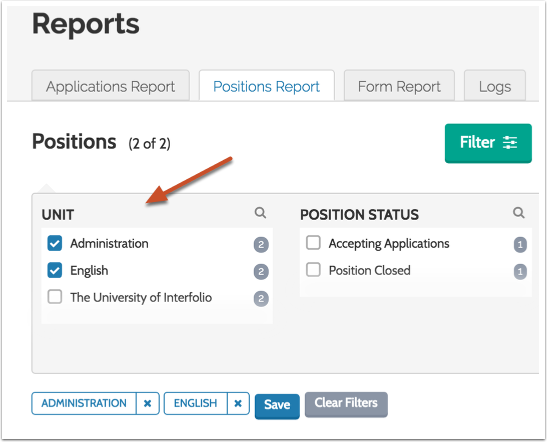 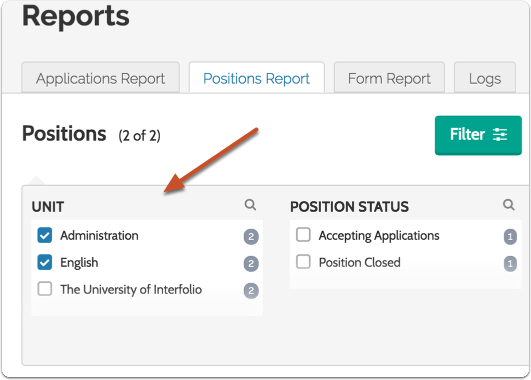 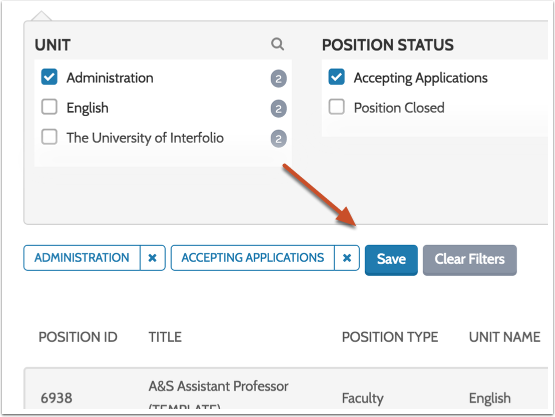 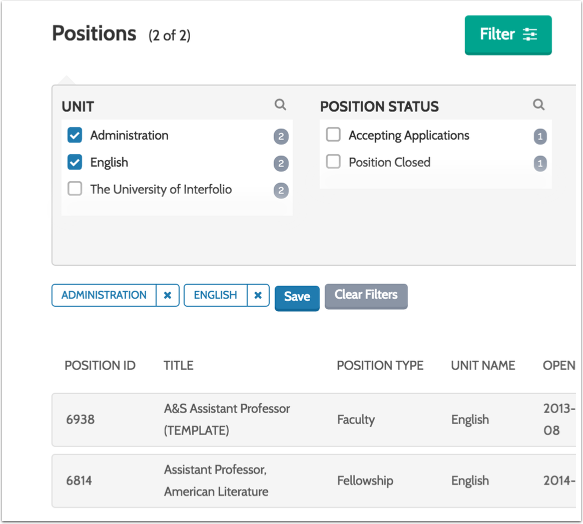 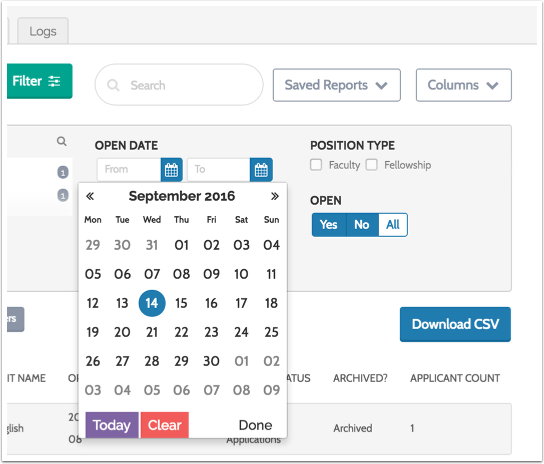 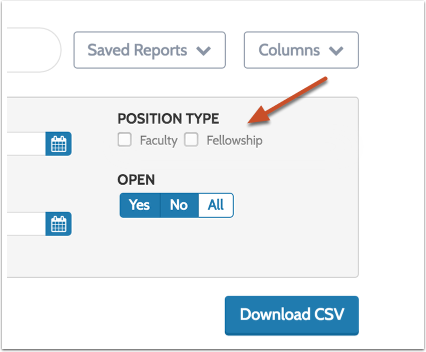 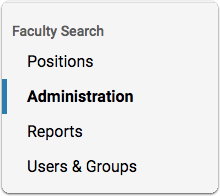 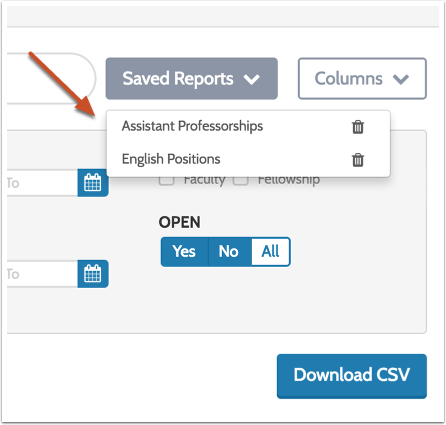 Committee Managers and Administrators can use the positions report feature in the "Reports" section of Interfolio Faculty Search to generate report data on searches in ByCommittee. 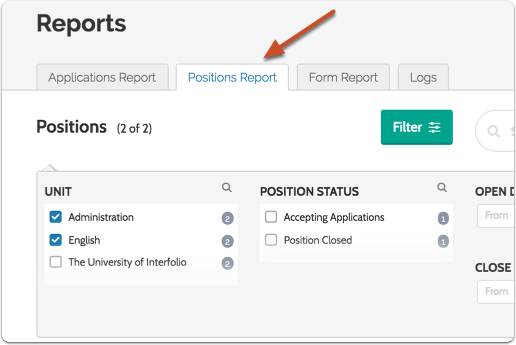 Positions Reports are created by applying a customizable set of filters to sort positions. 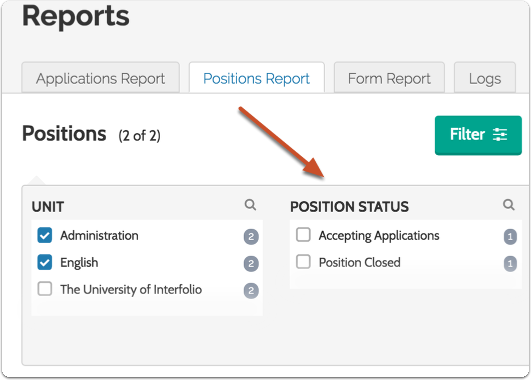 ...the positions meeting the criteria are displayed. 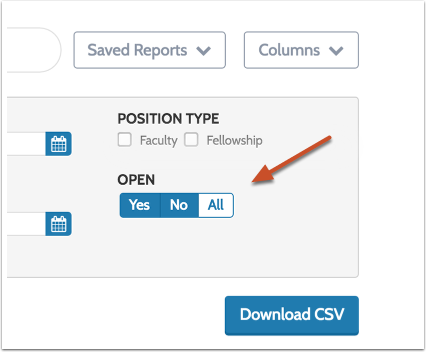 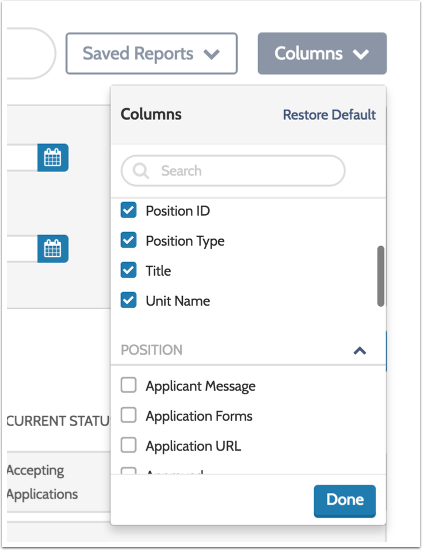 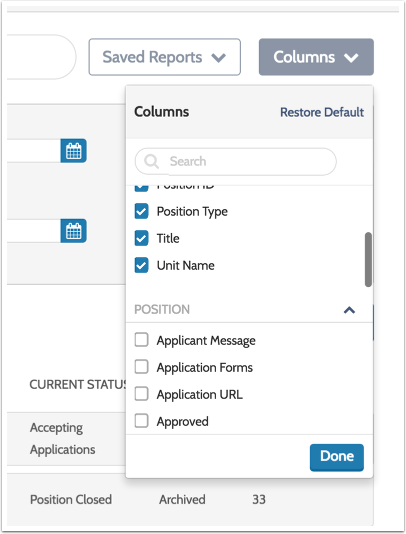 You can recall your saved reports by clicking "Saved Reports"
You can set the columns that will display in your report by deselecting the defaults and/or adding new columns to display.